Inflammation of the muscles is called myositis (myo = muscle, sitis = inflammation). Polymyositis is a condition which affects many muscles (poly = many), mainly the larger muscles of the body, such as those around the shoulders, hips and thighs. This article also deals with dermatomyositis. This is a disease where a particular skin rash occurs (derm = skin) with muscle inflammation that is similar to polymyositis. current research into the conditions. It concludes by answering questions often raised by people who have polymyositis or dermatomyositis, and gives useful addresses for further information. What are the symptoms of polymyositis and dermatomyositis? Polymyositis affects mainly the large muscles of the body, such as those around the shoulders, hips, and thighs. If you suffer from it you may have difficulty climbing stairs, getting up from low chairs, and getting in and out of the bath. Your muscles may feel weak and very tired, so that tasks that are normally easy, prove to be exhausting. You may also feel pain in your muscles, known as myalgia, and your inflamed muscles may be tender to the touch. People with polymyositis may feel generally unwell (malaise), and experience weight loss and night sweats. Polymyositis is not always so severe, however. Symptoms range from mild pain and stiffness (making the condition difficult to diagnose) through to a condition which comes on rapidly with severe weakness becoming apparent within a few days. In a small number of cases polymyositis can become a serious problem, affecting breathing and swallowing. Muscle weakness can cause difficulty in many daily activities. Polymyositis can develop by itself or alongside inflammation of other tissues of the body. There can be a red/pink rash on the upper eyelids, face, neck, and backs of the hands and fingers. The affected skin may become swollen – which gives a characteristic puffiness and colouring around the eyes. When myositis occurs with this specific rash the condition is called dermatomyositis. Dermatomyositis and polymyositis usually affect adults, though there is a type of dermatomyositis which affects children. This is called juvenile dermatomyositis. Polymyositis and dermatomyositis are rare diseases, affecting only 6–8 people out of every 100,000 of the population. People who have symptoms which may be due to polymyositis or dermatomyositis are usually referred to a specialist. Depending on which symptoms are most severe, you may be sent to a neurologist (a nerve specialist), a rheumatologist (a joint and muscle specialist), or a dermatologist (a skin specialist). If the symptoms have appeared very rapidly, and especially if they are accompanied by breathing or swallowing difficulties, you may be admitted urgently into hospital under a general physician. The processes in the body that cause polymyositis and dermatomyositis are not well understood. The body’s immune system, which normally protects it against infections such as those caused by bacteria and viruses, attacks the body’s own tissues. This causes inflammation in the muscles and may also affect the skin. The reason for this happening is not known. If small samples of muscle from people with polymyositis and dermatomyositis are examined under a microscope, white blood cells can be seen sticking to the muscle membrane and damaging the muscle proteins that make the muscle contract. This causes the weakness and fatigue of myositis. In the case of dermatomyositis there are also changes in the skin and the small blood vessels which carry the blood to the muscles. What causes the immune system to turn against the muscles and blood vessels is not known. How do doctors diagnose the conditions? Your doctor will ask you to describe your symptoms, and will examine you. Muscle weakness, tiredness, and myalgia can also occur in other conditions and diseases, so s/he will probably take a blood sample for testing. The blood test may reveal abnormal levels of blood cells or enzymes (such as creatine phosphokinase) which have leaked out of damaged muscles. One of the tests for blood cells is the erythrocyte sedimentation rate (ESR) test, which gives an indication of the level of inflammation. Further tests will probably be needed. One is electromyography (EMG). The body makes its muscles contract by electrical discharges from nerve endings at muscle membranes, and the electrical properties of the membrane are changed by myositis. A thin electrode probe is inserted into the muscle, and the pattern of electrical activity is shown on a computer screen. Any alteration produced by myositis will show up. As the effects of myositis are patchy, a number of muscles will need to be tested in this way. These EMG tests should be no more uncomfortable than having blood taken. Another test is muscle biopsy. A small sample of muscle, usually taken from the thigh, is examined under a microscope. A local anaesthetic is used to numb the area while the sample is taken, but there may be some minor discomfort for a day or two afterwards. Once the diagnosis is confirmed on muscle enzymes, EMG studies and muscle biopsy, treatment starts. Steroids are the drugs used as the first choice, and can have a dramatic effect in reducing the inflammation very quickly. An initial, relatively high dose will settle the myalgia (pain) and feeling of being unwell. Muscle strength will take longer to recover, however, as the damage to the muscles takes weeks or months for the body to repair. High-dose steroids do have side-effects, so your doctor will only keep the dose high for the shortest possible time. The risk of developing osteoporosis can be reduced with other drugs. If the dose of steroids has to remain high in order to control the inflammation, then other drugs can be used to work with the steroids to allow the steroid dose to be reduced. The two most commonly used are methotrexate and azathioprine. These have side-effects of their own, so you will need to have regular blood-monitoring tests to allow your doctors to watch out for signs of these developing. As the disease is suppressed, you will be given exercises to do, to counter any muscle wasting. With juvenile dermatomyositis, vigorous physiotherapy is needed to make sure that joints, and especially knees, do not become permanently bent – an irreversible change known as a flexion contracture. What complications of polymyositis and dermatomyositis might happen? The most frequent complication for adults is that the treatment doesn’t work, and the muscles stay weak. Research into why drugs do not work for everyone is continuing, but meanwhile it appears that aerobic exercise (exercise that increases your breathing and heart rate) helps the recovery of your strength and improves your ability to use your muscles. At the start of more severe cases there may be severe weakness of the muscles used for swallowing and breathing. People with these conditions may require medical help to eat or breathe in the early stages of treatment. Another complication of polymyositis is inflammation of the lung tissues, which can lead to lung scarring and cause the lungs to work less well. This often irreversible damage can cause long-term breathlessness. Children with dermatomyositis may develop painful calcium deposits in damaged muscles and these calcified deposits together with inflexible joints through long periods of not moving (disease-related immobility), make the children more likely to have permanently stiff bent joints. Research is being done on polymyositis and dermatomyositis which may lead to new treatments. A great deal of research is being done, looking at various aspects of polymyositis and dermatomyo-sitis. Because these conditions are so rare, there is increasing collaboration between research centres. There is a clinical study of the effectiveness of steroids in various combinations with other drugs to establish the best combination of the currently available drugs for treating polymyositis and dermatomyositis. Another aims to find out what genetic factors make some people more likely to get myositis. Ultimately this may help us understand the mechanisms responsible for muscle cell damage, and therefore lead to the development of new and more effective treatments. New tests are also being devised to help distinguish myositis from certain other muscle diseases. Can I pass myositis on to my children? Polymyositis and dermatomyositis are not directly inherited (automatically passed to a child from its parents), although there may be some genetic influences. If you have polymyositis or dermatomyositis, the chance of your children being affected is very small. The severity of polymyositis and dermatomyositis can range from mild, producing little weakness, to very extreme, causing breathing difficulties. However, even in severe cases, myositis does respond to treatment. It is important to appreciate that, while some people with mild polymyositis and dermatomyositis recover completely and get off all drugs, people with more severe inflammation have problems for a long time, and often do not recover fully. Ongoing weakness and the associated disability can be a serious problem. What is post-infectious reactive myositis? After some viral infections the body’s immune system, after killing or supressing the virus, may cause inflammation in parts of the body for a few months. This process can occur in muscles in some people after viral infections. The result is a short-lived myositis that is called ‘post-infective’ or ‘reactive’. 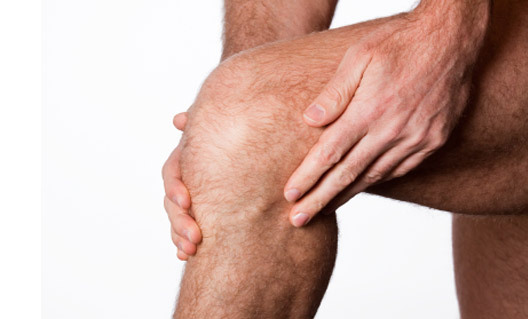 People with this condition develop widespread muscle pain and may get muscle weakness. Some of the tests for polymyositis may show positive, but the condition is usually mild and always settles without the need for specific treatment. Are there any other types of myositis? There is a disease called inclusion body myositis (IBM) which is similar to polymyositis and derma-tomyositis and in which people have the symptoms of muscle weakness, a raised level of the enzyme creatine phosphokinase, and similar muscle biopsy results. It is, however, different in that the weakness often affects ‘peripheral’ muscles (such as those of the hands, forearms and calves) and symptoms of muscle pain occur only rarely. Although the features seen under a microscope in IBM muscle biopsies look like those in polymyositis and dermatomyositis biopsies, modern techniques show that characteristic ‘inclusion bodies’ are present. This distinguishes IBM. It is also found that IBM does not respond well to steroids, and this is such a consistent feature that a poor steroid response in somebody who is thought to have polymyositis suggests that further tests may be needed, including a repeat biopsy if necessary. Is myositis related to fibromyalgia? 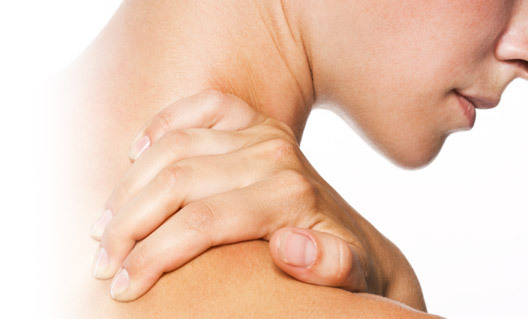 Fibromyalgia (sometimes called FMS) produces very similar muscle pain and fatigue. However, fibromyalgia is not associated with true inflammation in the muscles. The blood tests are therefore normal. Should I exercise to keep up my muscle strength? When your myositis is very active, it is probably wise to rest. However, as soon as the condition has begun to settle it is very important to do aerobic exercise so as to improve your stamina and to maintain muscle power. To start with this should be under the supervision of a physiotherapist. It is important to start with passive movements of the joints even in the active phase of the myositis and move onto more dynamic exercise as the inflammation begins to settle.